There is an excellent chance that you will never read this. It is my hope however, that at the very least, someone makes you aware of this letter, for in it I am showing appreciation for your actions and overall approach towards the world’s problems. What makes this so important and frankly somewhat personal, is that it is a lot more common for the famous of the world to gravitate towards the “popular” issues and nowadays that often means attacking Israel, something you clearly do not do. On the contrary, while others look for and often fabricate reasons to hate Israel, in this clip (CLICK HERE) you speak highly of Israel’s achievements in technology. You do not stop there. You are clearly focusing tremendously on education, something so critical to the future of America. It must not be ignored that your “involvement” in issues also means that you provide tremendous amounts of resources providing substantial funds to help these causes. My point being, you are the furthest thing from all talk. You are doing many special things and providing so much for many of the most needy people of the world. 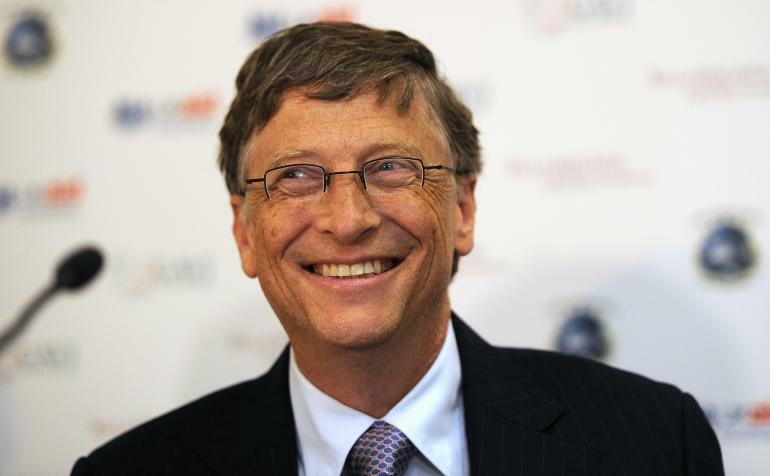 Mr. Gates, I am no one particularly important in the world’s big picture. I have somewhat of an audience, but it pales in comparison to many others and I am certainly a small fish in a very large ocean. As I said to start this letter, I don’t imagine you will ever see this, but to be honest, seeing all the good you are actually doing, I truly believe you have more important things to do with your time. I just wanted to say that this small fish appreciates your genuine efforts to make the world a better place and hopes that others who prefer to spend their time obsessed with what Israel does will spend more time worrying about the millions of people out there neglected even if it’s not as big or popular of a news story. Wishing you continued strength and success in your efforts. This entry was posted on Monday, September 15th, 2014 at 2:11 pm	and tagged with America, Bill Gates, Ebola, Ethiopia, Gates Notes, Gaza, human rights violations, ISIS, Israel, Jew, Rwanda, terrorism, Twitter, United States, Zionist and posted in Uncategorized. You can follow any responses to this entry through the RSS 2.0 feed.